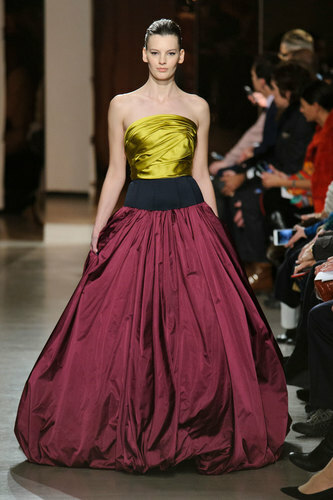 reminding us of the the tragedy of De la Renta’s death, in October last year. 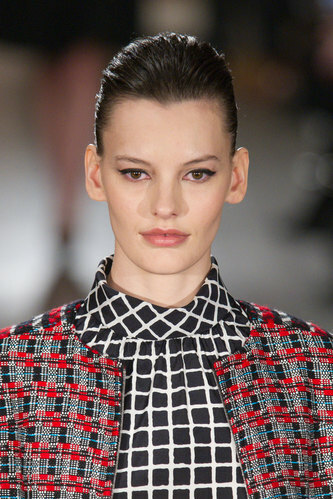 Not only this but the expectations of Peter Copping, especially this autumn/winter15 collection, being the first show since creates a lot of tension in the room – of what expected, what’s to come and will the collection live up to the Oscar de la Renta high quality standard – especially with three months to create the collection. 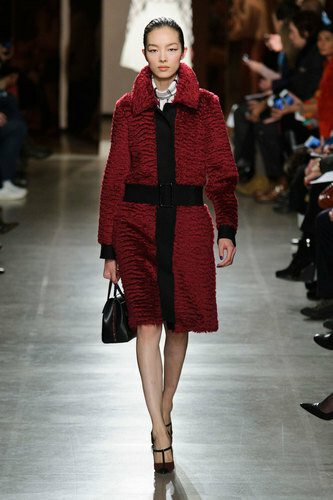 The first items of clothing to march were beautiful detailed, with patterns of blues and reds intertwining coatdresses leading on to luxurious grey fur, patch worked into a skirt or knee-length coat – a great start. Cashmere skirts in all sorts of colours and patterns kept an aesthetic of the brand, with ball gowns finish – in golds, burgundys, black, even a purple and yellow silk number which of all lived upto the expectations of the audience.